We believe that it is everybody's right to be heard and decide on how to manage their health. Our job as home health care professionals is to support you in your rights as a patient. Every day, with every visit we make, we are given the privilege to be a significant part of managing your health and in your recuperation at home. Our Home Health Care Team is dedicated to achieving your comfort and safety right where you live. We seek ways to establish a stress-free environment for clients to continue their treatment in their own homes. 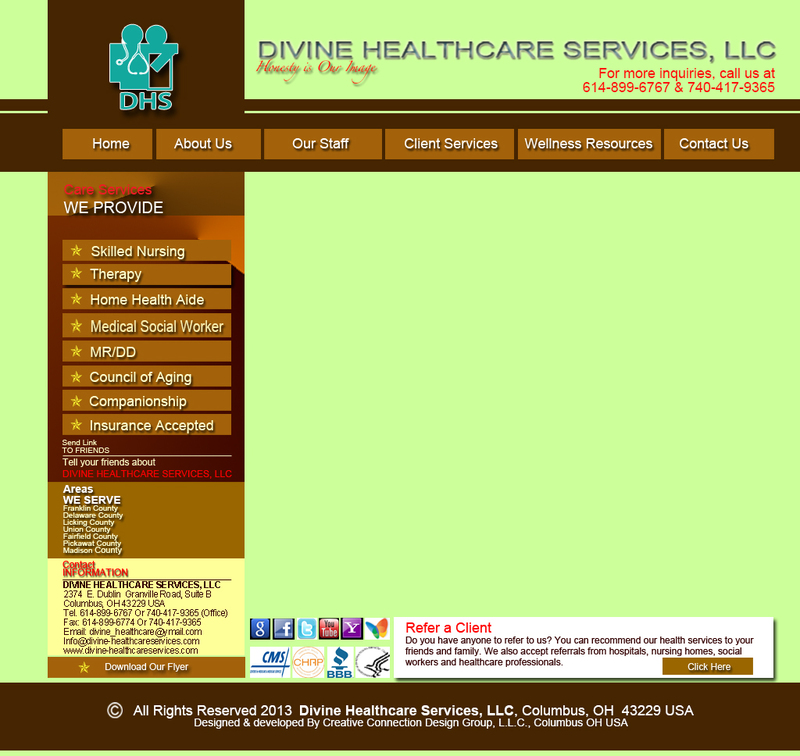 Divine Healthcare Services, your family and physician believe that there is a way to battle your sickness and overcome the chronic pains of your disease.